Launched this site at the end of the summer and it was awesome. It strives and succeeds in solving the issue of having two distinct audiences. 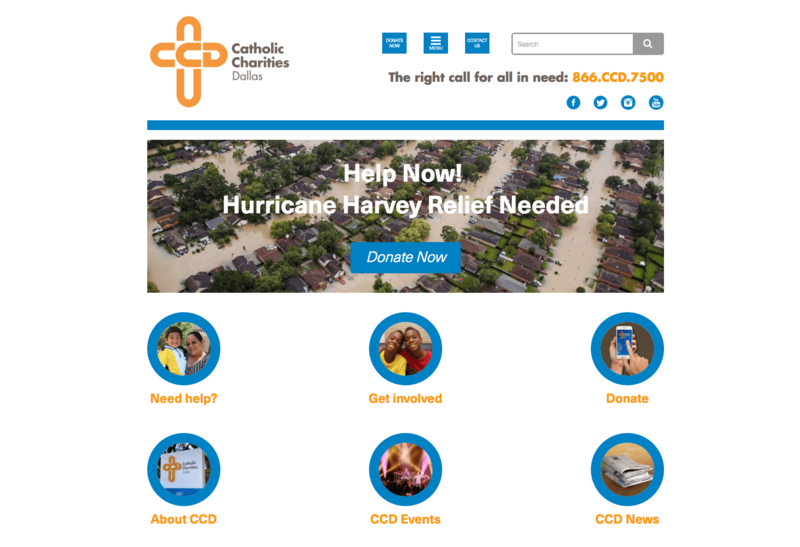 On one hand, Catholic Charities does a ton for the community, helping people with immigration, pregnancy and adoption and financial stability and need to have information for those it helps. On the other, CCD needs to accept donations of all kinds and so need to have information for donors and volunteers about activities and opportunities. This is a very large group and while we aren’t dont just yet, it’s looking good so far!